I am stuck! In many ways. First, time is working against me. I have to work a lot (christmas + bookshop, well, you get it), I had a conference last week, went to the last lecture before christmas, had to discuss a lot of things with my professor and am working on my PHD-project. When I come home all I wish for is a glass of wine and Downton Abbey in the Blu-Ray-player. Second, this project is so…demanding, claiming. Not that is is overly difficult, in fact it is fairly easy. And cutting large rectangles isn’t a challenge, even in plaid. But I hate all this concentrating on lines and patterns and grain when the pattern pieces are so simple. It feels like a lot of boring work. To pair things I don’t like (=all this tripple checking for matching lines) with a boring pattern doesn’t seem to have been a good idea. I am sure it will get better when i have finished the basic seams and can finally add the velvet but all this pressing and pleating and cutting and blaaahhh…it’s just not mine…. Still I am determined to finish this project. Not only because I still like the concept and want to sew a 20ies dress,also because I hate to be defeated by something as simple as that. Third, there are things I would love to sew at the moment, other things. I had a wonderful idea for the HSF-challenge that is due today, it wouldn’t be much work either. And I planned to make my boyfriend something for christmas, I did this every year earlier in our relationship but somehow in the last couple of years I fell off. But the plaid dress is clouding these projects and vice versa. Now, enough complaining. What have I done? I cut the skirt and pleated it. Admittedly that wasn’t as easy as I had thought it would be. Modern patterns usually have two marked lines, one marks the fold, the other the place where the fold will lie. These pattern pieces only had one line. Now was I supposed to make knife pleats? And with two lines close to each other that where visible as two pleats in the image? Should I make box pleats, inverted or standard? And how deep? And I had to consider this before cutting, because my pattern repeat had to be followed as well and the pleat depth adjusted to it. In the end I made inverted box pleats on the side seams, one standard box pleat in the centre front and something that could be defined as a very wide box pleat with narrow walls or simply as two knife pleats facing the sides in the back. All pleats perfectly match the pattern, at least this was a success. As you might remember, I removed 8cm circumference from the paper pattern because the size was too large for me. When I had finished pleating I had to realize it was still very very large, I think the hip circumference was something like 107cm (I didn’t measure beforehand because I always want to see how the original pattern was meant to look like before I adjust it). Yes, 20ies fashion is supposed to be non-fitted, but it isn’t supposed to be that wide. The magic of this fashion lies in how it hugs the figure without really touching it. So the dress shouldn’t be much wider at the hip as the hip itself, otherwise it would of course look baggy. As a consequence I doubled the depth of the rear parts of the box pleats on the sides, removing 11cm circumference (and before you ask, yes, 96cm is still more than my hip circumference. But first the skirt is going to be gathered at the waist seam a little and second I don’t want to stretch it too far, it should be snug as little as baggy). To stick with the pattern I could only increase the depth of one half of the box pleats at the side. So now they are not only asymmetric (the rear half is deeper than the one in the front, maybe I will at least sew close the excess to make it fall better) but they also shifted from slightly behind the sides to right at the sides. I am not content with this by now but can’t think of anything to change it. If the skirt will still be too large I plan to add a seam in the centre back. Like this I can remove only one pattern repeat (=5,5cm circumference, the pleats are always mirrored on the other side, so I always have to remove 11cm) and the side pleats will at least shift a little towards the back, too. The top is in progress. I made a mistake when cutting the front parts so the pattern doesn’t match the way it should at the shoulder seams, but I think I am able to ignore that. More annoying is the fact, that the diagonal darts in the shoulder seams look like rubbish. Not because I did something wrong, it just looks weird with the plaid. Well, my hair is long, hopefully it will cover it or maybe it won’t look too bad when worn, we’ll see. At least the side seams look good and the whole thing is remotely resembling a dress. the front. You see the weird darts? the side seam. At least this went well and the fit seems to be ok.
Now I am facing the difficult decision to wether use this evening to finish the button band in the centre front or to spend it in front of the tv watching Downton Abbey as I have done already the previous nights. I’m afraid one of these alternatives is far more tempting than the other…. that’s how it looks now. Not very elegant but it could be worse I suppose. So richtig komme ich nicht voran. Die Falten im Rock sind gelegt und sehen schön aus, auch wenn das Schnittmuster mehr als kryptisch war, was die Verteilung derselben angeht. Allerdings war der fertig gefaltete Umfang weit davon entfernt mir zu passen, weshalb ich die Faltentiefe teilweise anpassen musste. Jetzt ist es zwar immer noch nicht ganz passend, aber zum einen soll es am Bund etwas engehalten werden und zweitens, sollte es gar nicht passen nehm ich was in der hinteren Mitte raus und setze dort eine Naht, denn die Falten kann ich ja immer nur passend mit dem Rapport verschieben. Das Oberteil ist vom Sitz her ok, allerdings sehen diese schrägen Abnäher recht merkwürdig in dem Karomuster aus. Aber das kann ich einfach nicht ändern, also bleibt es so. Der aktuelle Stand ist weder interessant noch elegant aber ich hoffe einfach, dass was nicht ist noch werden kann, auch wenn mir nicht mehr viel Zeit bis nächsten Sonntag bleibt und die Motivation zu wünschen übrig lässt. And by the end of this unfateful week we left home a few days, not only to flee the noise, but to visit our family and friends in Germany. The rest of last week passed in a wink, as usual when its your well-earned vacancy. Yesterday I had my very first lecture in university, I mean, me giving a lecture. Only half an hour, the rest was done by my professor, but it still felt very cool. Maybe a university career could be an alternative to the museum-job I always dreamed of? Anyway. 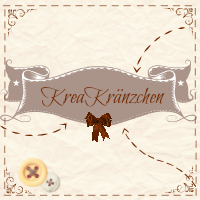 What’s new in my sewing world? I finished last HSF-challenge, but it took me until this morning that found all photos related to this project, so please give me some days to get it all done (it’s not that big a deal, though). 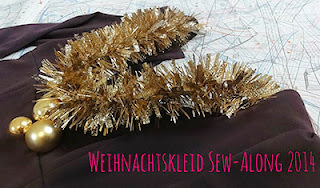 But already a couple of days ago an annual sew-along was anounced, for the fourth year in a row, the Weihnachtskleid (=Christmas dress)-Sew Along. After I saw the amazing dress Beswingtes Fräulein had sewn for last year’s sew along I was eager to participate this year. First official post was due last sunday, so as always I am a bit late. But I am positive to get better, for sure! Weihnachten ? Ist nicht noch Sommer ? Christmas, isn’t it still summer? Got a pattern but no fabric, or the other way ’round? 1st: This year’s christmas will be very quiet. We will stay at home and won’t be able to visit our families in Germany. So no big party, nothing glamorous, no big festive attire needed. But something elegant yet comfortable is desired, Christmas in pajamas doesn’t feel right. 2nd: Maybe some of you remember the 1920ies pattern sheet I found in an embroidery book I bought earlier this year. Somehow the wish to sew something from this period grew stronger and stronger in the last weeks, so why not finally do it? A high-waist skirt made after a 1950ies pattern, one of the first vintage patterns I ever worked with. Unfortunately, although it was quite well sewn, the plaid made the pleats appear dropping, as if I hadn’t paid attention to keep them in place. I wore this skirt maybe twice before it had to leave my wardrobe forever. 4th: As I said, I love plaid and this post of a friend of mine made me think of this vast yardage of unknown terrain in my stash AND made me want to wear plaid immediately. Now, when I finally found a pattern meant to be used with plaid fabric on this very 20ies pattern sheet everything just popped into place and the plan was set. As you see, it asks for trimmings in a solid colour and the fabric looks more like a woven lozenge pattern than a plaid. This makes me wonder if I could use my fabric on the bias. This was actually pretty common in the 20ies and bias-cut skirts are available still today. But I fear that the upper dress-part would look weird. Maybe I will cut this straight and only the skirt diagonally? And the pleats will give me the very same issues I had with the Bette-Davis-dress. This time I want to pay attention to the depth of the pleats so the pattern will match at the edges. The pattern is too large for me, so this will not only be my first attempt with a 20ies pattern, I will also have to resize it, fingers crossed! You might remember this pink velvet, it is the same I used for my ballerina-fancy dress. Maybe green because I like contrast where nobody can see it, maybe the other one because it is as least remotely pink, though it is impossible to photograph. So far, I hope you are with me?